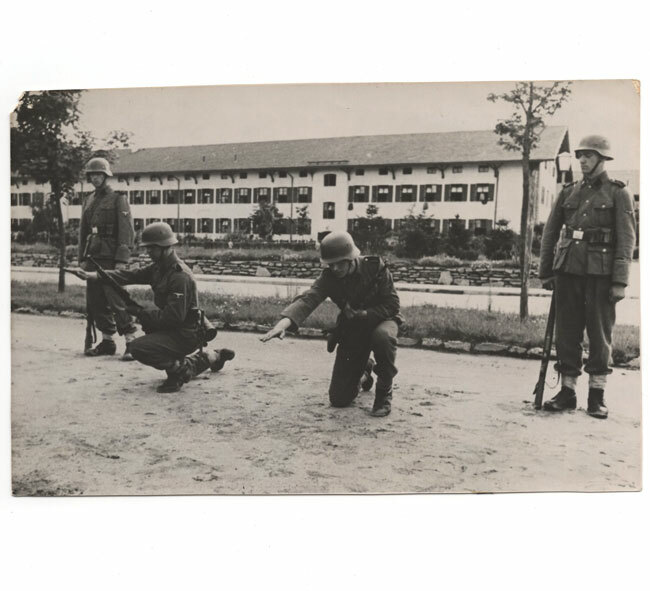 This is a nice original period (large-sized 17x11 cms) Waffen-SS press-release photograph. 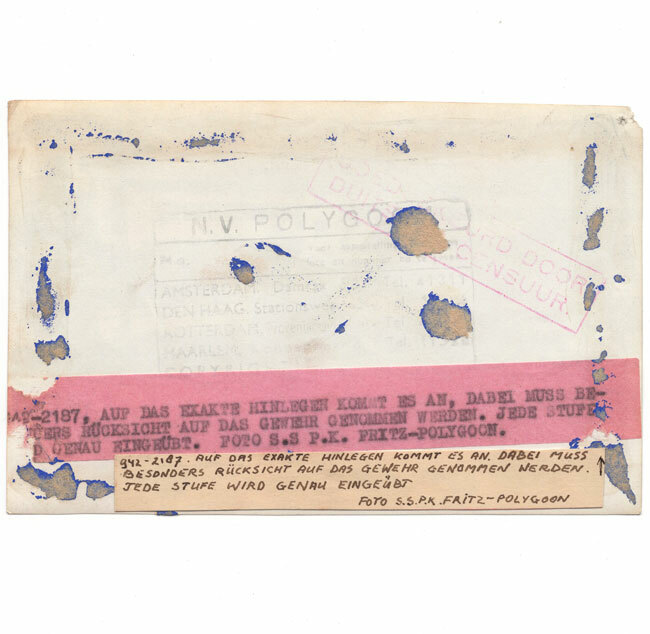 This photograph was authorised for publication by the Geman authorithies and released by 'N.V. Polygoon' in the Netherlands, the photo has been taken by 'SS P.K. (Kriegsberichter) Fritz'. 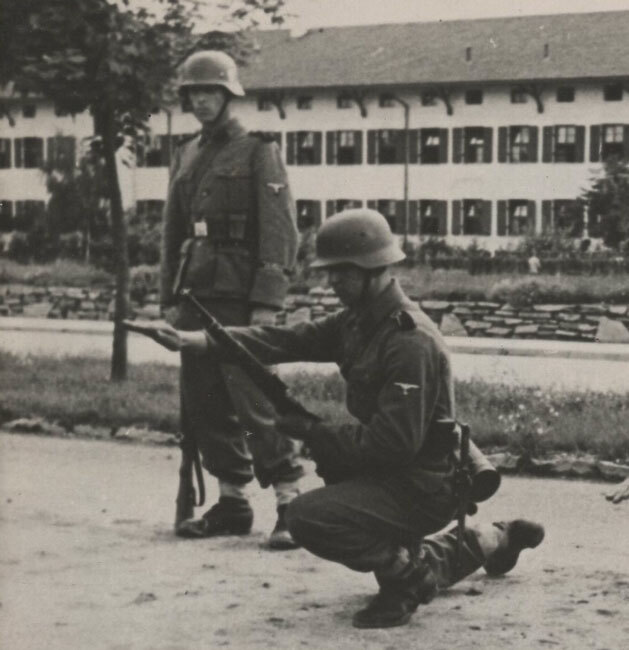 The photograph are showing soldiers training with the K98 rifle, the soldiers are most likely wearing Wiking cufftitles. Great original period press-release photograph! 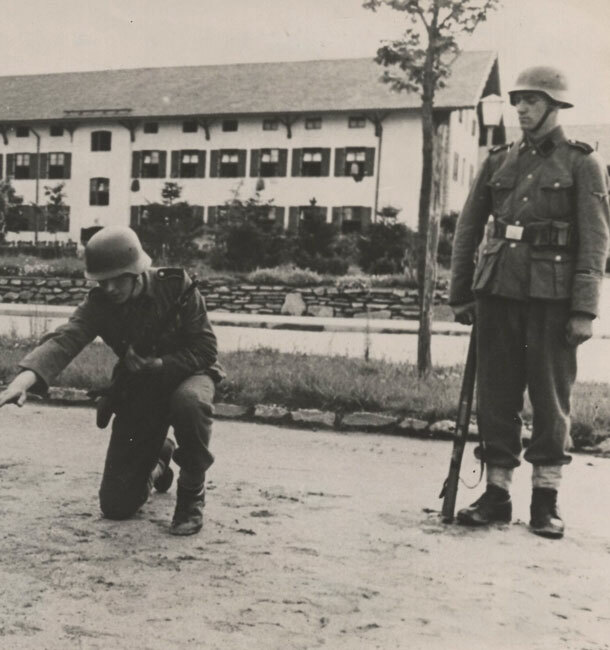 Dit is een mooi originele oorlogse (groot formaat 17x11 cm) Waffen-SS pers-foto. Deze foto werd door de Duitse overheid vrijgegeven voor publicatie en is gepubliceerd door 'N.V. 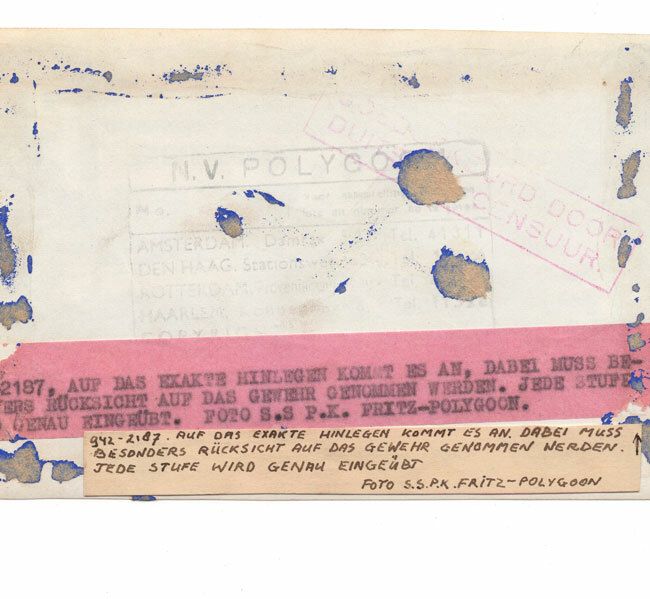 Polygoon' in Nederland, de foto is genomen door 'SS P.K. (Kriegsberichter) Fritz'. De foto toont soldaten die trainen met de k98 karabijn, de soldaten lijken Wiking mouwbanden te dragen. Prachtige originele pers-foto!